Wausau, WI Will Preparation Attorneys - Crooks, Low & Connell, S. C.
Do You Need a Professional to Help Write Your Will? If you are beginning the process of evaluating your estate planning needs, you may be considering preparing a will on your own. But, is it the best option? Certainly not. There are numerous reasons to hire an attorney to draft your will, and the cost is not nearly what most people think. In fact, when you consider all that is at stake if you leave something out of your will or your will gets declared invalid, seeking professional help is more than worth the modest investment involved. 1. A Will May Not Be Your Best Option. One of the first reasons to seek professional help with your will is to determine whether a will is even the best tool to use for your estate plan. While you may need a will to address certain issues, a revocable living trust or other different types estate planning options may be a more appropriate tool for seeing your final wishes through. For most people, a will is just one component of a broader estate plan. 2. You Need to Choose Your Words Carefully. When you are gone and your personal representative (or a probate judge) is attempting to interpret the terms of your will, you will want those terms to be as clear as possible. 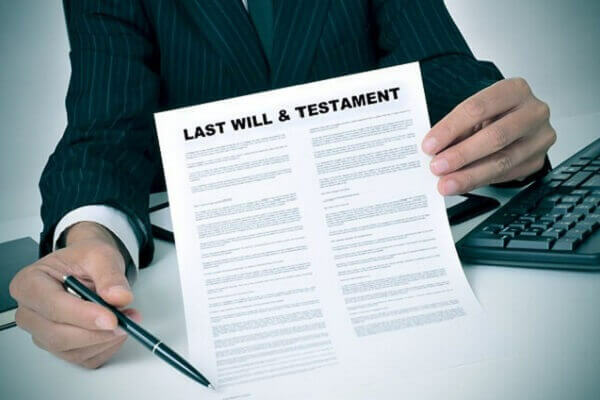 Since a will is a legal document, certain terms can have meanings that you might not expect or intend, and what seems clear to you may be ambiguous when considered in a broader legal context. 3. Your Estate Plan Needs to be Thorough. What happens if someone whom you name as a beneficiary in your will dies before you do? What happens if you have another child or grandchild? What happens if you divorce and your former spouse remarries? When preparing a will, you need to address these types of contingencies in order to ensure that your estate plan is as thorough as possible. 4. You Need to Make Sure Your Will is Valid. Wisconsin, like all states, has certain requirements in order for a will to be valid. When planning your estate, the last thing you want is for your will to be disregarded in its entirety. By working with an experienced attorney, you can help ensure not only that your will covers the necessary issues and says what you intend, but that it will be considered a valid last will and testament as well. Speak with a Wisconsin Estate Planning Lawyer at Crooks, Low & Connell, S.C.
Crooks, Low & Connell, S.C. is a Wausau law firm that provides experienced estate planning services for individuals throughout Wisconsin. If you would like to discuss your estate planning needs with an experienced attorney, please call (715) 842-2291 or contact us online today.